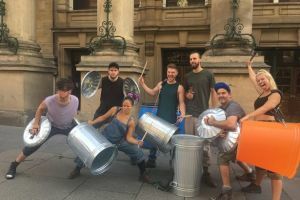 Clashing dustbin lids and hammering containers, the cast of Stomp certainly didn't go unnoticed when they arrived in Newcastle on Wednesday morning. The energetic performers quickly drew a crowd outside the Theatre Royal as they gave a high-impact - and very noisy - performance with clattering and banging on makeshift drum-kits, dancing and somersaults. The cast members, including local talent Jamie Welch, were giving a taster of Stomp ahead of its opening on Thursday for a three-day run at the Theatre Royal. Jamie, from Bedlington in Northumberland, has been in the cast of the popular show for two years during which he has toured across Europe but this will be his first time in his home region with it - and he was delighted to be bringing it to Newcastle. "It's great," he said. "This is my first time back in the North East with the show I do for a living and I've got a mix of family and friends coming." While the show - snippets of which featured during the closing ceremony at the 2012 London Olympics - has been around since 1991 - and has built up a loyal fan-base - this week marks the first time it has been back at the Theatre Royal for about two years and audiences are being promised a performance that is faster and funnier than ever. A woman has appeared in court charged with the murder of Sunderland teenager Scott Pritchard. Karen Tunmore, 36, of Killingworth, North Tyneside, appeared at Bedlington Magistrates Court - sitting at Newcastle Crown Court - on Saturday. 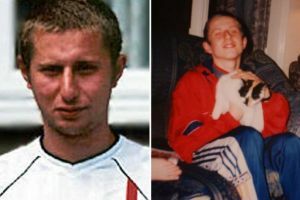 The teen’s death sparked one of the biggest manhunts in Wearside’s history when he was found bludgeoned outside his Sunderland home in 2004 and left to die. At the time his leg was in plaster after suffering a bad injury and he could only walk with crutches. Scott was confirmed dead on arrival at Sunderland Royal Infirmary, aged just 19, and detectives have been investigating the case ever since. Nobody was convicted in relation to the case at the time, but the investigation has remained open. This is the moment a burst pipe sent water shooting 20ft into the air in a Northumberland town. 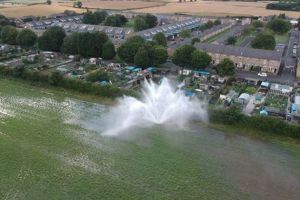 The water main burst near Hartford Gardens, in Cramlington, on Friday morning and the supply was eventually shut off at around 7pm. Dramatic drone footage captured by Jason Carrick showed the water shooting into the air and across a nearby field. His partner Donna Scott, 32, said they were shocked when they discovered the water pipe had burst. She said: “It started on Friday morning and was still pouring out in the evening. “Northumbrian Water weren’t on the scene until about 3pm and they said they couldn’t turn it off because it supplies water to Morpeth and Bedlington. 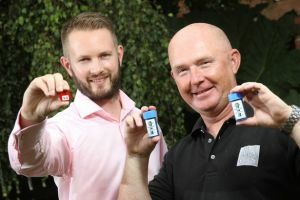 A small magnetic device invented by a Northumberland entrepreneur is set to make a big splash in the global oil, gas and power industries following financial backing. Jon Naylor has more than 30 years’ experience in senior positions within the industrial pipelines sector and he now acts as a top level consultant for clients around the world through his Bedlington firm , JNCS Business Services Ltd. Now Mr Naylor has invented the TorqTag, a magnetic piece of kit used on pipelines which is already winning orders around the world – and is poised to reach new heights after winning support from the new North East Small Loan Fund Supported By The European Regional Development Fund. The TorqTag was developed when Mr Naylor realised there was an industry need to improve processes around the closure of the dozens of flange pieces that join sections of pipeline to each other. This process is done by engineers in a precise order, to make sure connections are made as they should be, and the TorqTag temporarily attaches to each bolt, helping technicians keep track of their bolting sequence. Having already won orders from existing and new clients around the world, Mr Naylor has worked with regional fund management firm NEL Fund Managers to secure a £10,000 Small Loan Fund investment that is helping improve the manufacturing processes around the TorqTag. 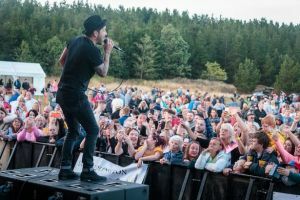 Music fans braved an afternoon downpour to catch X Factor winner Matt Cardle live in Bedlington. The singer-songwriter headlined Northumberland Live in Bedlington on Saturday evening. Cardle took to the Gallagher Park stage at around 8pm, following rain in the late afternoon. Cardle, who won X Factor in 2010, was joined on the bill by Newcastle singer Channy, the Midnight Soul Sisters and pop punk group 5K. The future of the under threat festival had been in doubt, but went ahead following donations from councillors and East Bedlington and Choppington's parish councils. East Bedlington Parish Council chairman Keith Grimes said: "There was a real danger that the festival would not happen this year. We are well aware of how much this free event means to our community and we believed as a parish council that they deserved to have it." Forever haunted by the image of her daughter’s lifeless body in a crashed car, a mum is today begging other drivers to stop speeding. 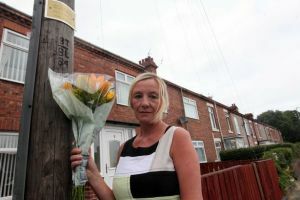 It has now been almost a year since Isabel Easson lost her precious girl Bethany Fisher when a car, driven by Jordan O’Donnell, smashed into parked cars and a wall outside her home in Bedlington. Today two new speed indicator display (SID) signs have been installed on the C405 by Northumberland County Council following campaigning by Bethany’s family and friends. And Isabel hopes the signs will make people think and help stop other parents going through what she has. The 48-year-old said: “I just don’t want this to happen to anyone else. I still can’t see past that image of her body. I’m struggling to get that image of her out my head. “That’s something no parent should ever see. Firefighters have battled a blaze which broke out at a Northumberland industrial estate. 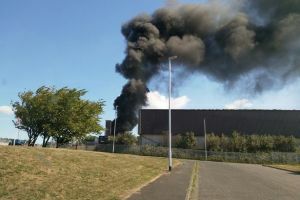 Crews were called to Barrington Industrial Estate in Bedlington on Saturday morning as huge clouds of smoke were billowing above. One fire engine remains on scene at midday as they continue to dampen down the fire. A spokesman for Northumberland Fire and Rescue Service said: “A crew is still in attendance. “We had two fire engines there and now one remains on scene. “They used two jets and one hose reel as well as a mechanical grabber to dismantle debris. Ten people have been arrested after drug raids across Northumberland. Police raided eight homes in Ashington, Bedlington and Widdrington in Northumberland and arrested eight men and two women on suspicion of conspiracy to supply Class A drugs. 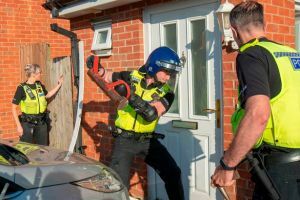 Detective chief inspector Jon Bensley, of Northumbria Police, said Thursday morning’s operation was part of a strategy to tackle a range of offences — including violent crime — which could be linked to the use and supply of Class A drugs. He said: “The warrants we have carried out today are prime examples of the robust response we will take to proactively target those believed to be involved in criminal behaviour. “A large part of our operation is responding to reports and intelligence that comes to us from the community. “There is no doubt of the harmful impact drugs and drug dealing has on these communities and we are absolutely committed to pursuing those who think they can get away with it. Where can you have a barbecue in the Newcastle area? 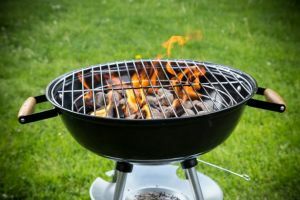 When the sun is shining everyone loves a good barbecue and so it’s time to dust down the patio, fire up the BBQ and get ready for some gastro grilling. According to the people behind the National BBQ Week, which started back in 1997, the cry used to be ‘if it ain’t burnt, it ain’t barbi’, but our attitudes towards BBQ and summer eating have changed and the BBQ market has grown from just 9 million BBQ occasions back then to over 130 million last year. With this in mind we have come up with a list of local parks and beaches where you can definitely have a BBQ around Newcastle . And we have looked into the rules for outdoor grillers too! Bolam Lake Country Park, Belsay The park is situated in the heart of the Northumberland countryside, surrounded by historic landscapes and dramatic views. It has lakeside, woodland and open grassed areas for all to enjoy, with the attractive lakeside walk being accessible for wheelchairs and pushchairs. You’ll find a number of picnic tables in the main picnic area. The best access to the Pheasant Field is from West Wood car park. BBQs are allowed but visitors must take them home and be careful not to scorch the grass or wooden surfaces. The below trials are just a small few of those heard in the North East. To keep up with the latest court news from across the region, join the ChronicleLive’s North East Court News group on Facebook here. A dad accused of killing his baby son by vigorously shaking him told a court he loved him and “would never do anything to hurt my children”. Civil engineer Andrew Chiu denies the manslaughter of 15-week-old Nathan Chiu at their home in Kingston Park, Newcastle. Prosecutors say, in temper or frustration, he shook his son or caused him to impact against a surface or both, causing bleeding on the brain, leading to cardiac and respiratory arrest. He denies the allegations. The trial continues. Two men have appeared in court following an alleged armed skirmish involving a golf club and a saw which left a man in hospital. Police were called to Bedlington in Northumberland on Saturday night following reports of a disturbance. Both Sean Thompson and Daniel Simmons were later charged with affray and possession of an offensive weapon. Northumbria Police said a 48-year-old man suffered “serious but non-life threatening injuries”. A police spokesman said: “Two men have been charged with affray and possession of an offensive weapon following a report of a disturbance in Bedlington. “Sean Thompson, 48, of Half Moon Street, Stakeford and Daniel Simmons, 20, of Harrington Gardens, Stakeford have appeared before magistrates in Bedlington. 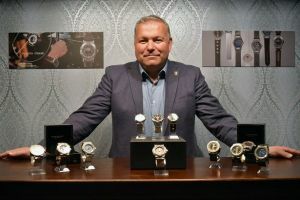 A former Northumberland garage owner is motoring in a completely new career, after swapping automotive engineering for watch making. 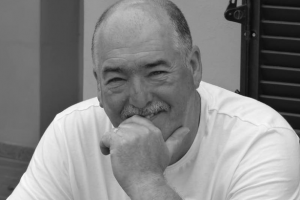 Glen Anthony Jobling, from Bedlington , has more than 30 years experience in the vintage and modern motoring industry but he has now turned his interest in design watches into a new business. Mr Jobling was inspired to change his career as a successful garage owner in North Tyneside in 2015, after making a watch for a friend while mulling over his options for a career change. Glen Anthony Watches (GA) has now officially launched with a range of men’s and women’s watches, which are designed, manufactured and assembled at his workshop in Wansbeck Business Park in Northumberland . All the parts of the watch are handmade on site by Mr Jobling except the Swiss movement, which he has sourced to meet his specific requirements. The watches are influenced by his love of all things mechanical and automotive, with designs inspired by the craftsmanship of the vintage cars he used to restore, as well as high tech materials of the latest sports cars. The Newcastle Chronicle has teamed up with The Halifax, Metro Radio and TFM Radio to explore what home means to the people of the city. We'll be celebrating the special places in people's lives and sharing those stories of home with #HalifaxLoveYourHome. Every week between now and Sunday 24 June 2018, one lucky person will be chosen by the judges to win £500 for sending in the best story. This week’s winner is former primary school teacher Joe Waddle. He says the peaceful Northumberland home he shares with wife Jude and daughter, Caitlin, provides the perfect inspiration for his writing, and his evocative poem really captures the meaning of home... I’m a creative person and I love writing - I’ve penned poems, songs and even self-published a novel - and home is where I get a lot of inspiration. I actually come from a very sporty family. My younger brother Chris was a professional footballer who played for Newcastle and England. I wasn’t a bad sportsman but not brilliant and packed football in when I was quite young. My wife Jude and I moved to Bedlington 14 years ago. It’s a former mining town but it’s so peaceful and quiet. We turned our spare bedroom into a study and it’s where I wrote my Kindle book On the Up, two years ago. It was something I always wanted to do. The study is not the only place I like to get a bit creative. At Christmas we like to decorate the house so we’ll usually have two Christmas trees – a big 6ft one in the living room and another 4ft one in the conservatory. And we also like to have parties every now and again. Of course, being from a football family we’ve had the odd World Cup celebration in the garden! Despite that, when it comes to day-to-day decoration, I’m an absolute minimalist. Our living room has a TV, two sofas, a coffee table and a few pictures hanging up. Bethany Dawson has her hands full with her young family. One of her four-year-old twins is disabled and needs round-the-clock care while she also look after sons Jack, three, and Luke 11. Kole and Hayden McDonald were born prematurely at 31 weeks and while Kole went from strength to strength, it soon became clear that his brother was different. 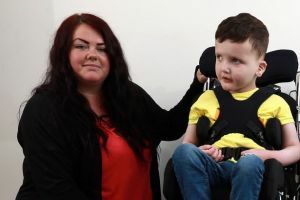 Hayden now suffers from an undiagnosed genetic condition meaning he has Global Developmental Delay, visual impairment, problems with his foot and is tube fed. He is one of just 90 people in the whole world to suffer from his specific genetic mutation and is believed to be the worst affected. The Northumberland tot is also epileptic and non-verbal. 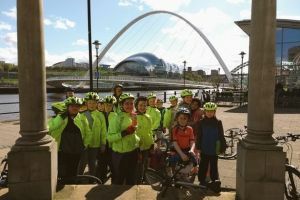 Thousands of children join Whitley Bay & Gatehead run events, North Shields school tackles Coast to Coast trail and more! This round-up of events is written by readers. To get your event or story included, simply fill out the form www.chroniclelive.co.uk/schoolnews St. Cuthbert’s RC Primary School, North Shields, Headteacher Shaun Dillon said: “Sixteen year 5 and 6 pupils are in training to tackle the challenging Coast to Coast bike ride from Whitehaven to Tynemouth over four days from 23rd- 26th May. The children are making the 140-mile cycle in aid of international charity Children in Crossfire to help children across the world reach their full potential. 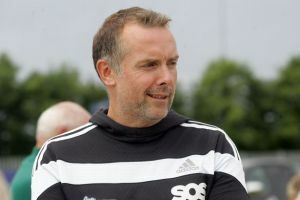 "Support from the North Shields and school communities has been amazing. Rafa Benetiz and the Newcastle United squad have also supported the Super16 by sending a wonderful inspirational letter and donating signed footballs to help the children raise funds.” Young creatives from Jubilee Primary School in Wallsend welcomed BAFTA-nominated illustrator and picture book creator Joe Berger to their classroom for an interactive event, thanks to leading supply teaching agency First Class Supply and Seven Stories - The National Centre for Children’s Books Joe Berger is an award-winning freelance illustrator whose work has appeared in numerous international magazines and newspapers, book cover designs, animated shorts, title sequences and commercials. As part of the double-act Berger & Wyse, with Pascal Wyse, Joe has a weekly comic strip in the Guardian and the duo’s animated title sequence for BBC1’s Hustle was nominated for a BAFTA. Joe has illustrated over thirty books for different publishers, including Tracey Corderoy’s Hubble Bubble, Frank Cottrell Boyce’s Chitty Chitty Bang Bang series as well as his own Lyttle Lies series. A world class centre for engineering and manufacturing is to be built in Northumberland by a growing electronics company, creating a raft of new jobs. TT Electronics, a global provider of engineered electronics, has announced plans to plough £3m into its Bedlington base, to transform it into a centre of excellence for the growing business. 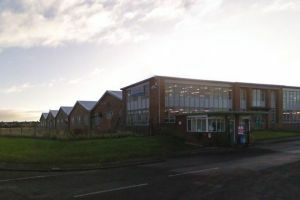 The Bedlington facility is home to the design and manufacture of TT Electronics’ products used by customers in the aerospace market, including global aircraft engine manufacturers, such as hybrid circuits. 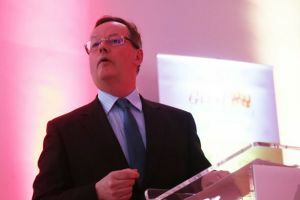 Now the growing firm wants to create the centre of excellence to support its anticipated growth plans, working in partnership with customers to deliver smarter solutions. TT Electronics’ investment pledge comes two years after spending £1m on creating a clean room and automated production line, a spend which is already supporting production for aircraft engine makers while helping to win new customers. The ambitious new plans will trigger the demolition of some buildings and redevelopment of others, creating improved space for efficient engineering and manufacturing operations. The site currently employs around 310 people in Bedlington, up more than 25% since 2015, and headcount is expected to continue to increase in the next few years to support the anticipated growth for TT Electronics in the North East. Inspirational marathon man Mark Allison has been inspiring schoolchildren before he sets off on one of his most difficult challenges yet. Mark is known as “Run Geordie Run” for the incredible feats of fundraising which have seen him pledge to run all the way round the world. The runner, 46 from Bedlington, is just under a month away from picking up where he left off, in Belgrade. He aims to complete a gruelling 2,900 miles on this fifth leg of his challenge - passing through Serbia, Romania, Ukraine, Russia and finishing in Astana, Kazakhstan. To reach Astana, Mark will be running 31 miles per day, which will allow him just seven rest days during the 100 day run, and pulling a fully laden buggy weighing 110kg (17.3 stone). For the first time, he won’t have a support team helping out, and will have to pull everything he needs on specially designed buggy called ‘Chappie,’ which he will tow behind him as he runs. The buggy, provided by sponsors Chapman Ventilation, will be used for cooking and storage in the day, and a bed at night. A multi-million pound plan to “reinvigorate” a “forgotten” town centre is moving forward as cash is released. 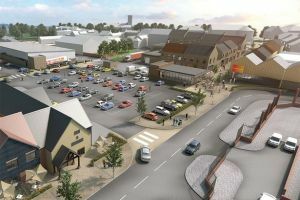 Northumberland County Council has announced that just under £6.5m had been released for a planned redevelopment of the former Tesco site in Bedlington . Though the businesses set to join the town have not yet been announced, the council says a “well-known food retailer”, more shops, apartments and car parks are on their way. 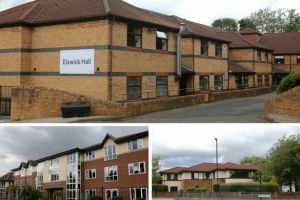 The plans, estimated to cost £10m overall, were released in 2016 by the council’s redevelopment company, Arch. The scheme is set to bring up to 200 jobs to Bedlington. It was initially hoped construction would start in “late 2017”, but the start date is now estimated to be late this summer, subject to contracts being agreed. Why are people queuing in Newcastle this Saturday morning? You might want to join in! 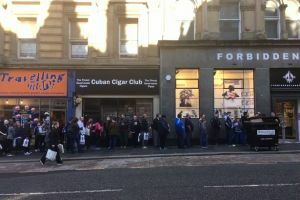 Shoppers in Newcastle could not fail to spot early morning queues forming in Grainger Street on Saturday morning. Lines of people were spotted waiting patiently for a certain shop to open - and for comic book fans it would be clearly worth the wait. Saturday is Free Comic Book Day and to mark the annual event the popular Forbidden Planet store had plenty giveaways ready for its 9.30am opening. Prior to that, the Travelling Man shop just a couple of doors down the street had opened especially early for the same purpose. It meant several of the queue could stock up on freebies there, when it opened its doors at 8am, and then take a place outside Forbidden Planet, which specialises in science fiction fantasy. Among them was 28-year-old Ben Leslie from Bedlington, Northumberland, who had already picked up two free comics in Travelling Man, having arrived at the shop at 6am. What are the rules for having a barbecue in the North East's parks and beaches? It’s that time of year. There’s been a flicker of sunshine so disposable barbecues and bags of charcoal are piled up outside petrol stations as the North East gets its grill on. The scent of charred food and smoke is as much a part of summer as beer gardens and brief interests in tennis. With a plethora of scenic parks and breathtaking beaches, it’s no surprise many of us opt to pick up a throwaway barbecue, gather our pals and head to the nearest beauty spot. But there are rules about where you can and can’t light up the BBQ. 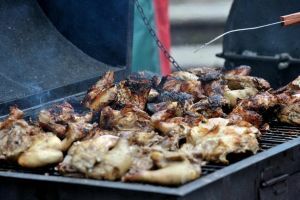 The council discourages BBQs in public spaces, but has issued guidelines for anyone who uses one. Police are searching for a teenage boy who has gone missing from his Northumberland home. 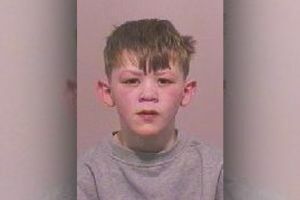 Liam Soloman, 14, has been missing since earlier this month when he left his address on Barrington Road in Bedlington. Officers believe he could be in the Sunderland area and are continuing their investigation to find him. They are now appealing for help from the public to track him down. 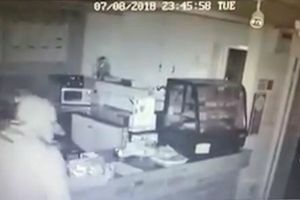 A spokesperson for Northumbria Police said: “Police are growing increasingly concerned for his welfare and now police are asking for help from the public to locate him. “He is described as white, 5ft4in tall, of slim build and with short, fair hair.